The New York personal injury law firm of DE CARO & KAPLEN, LLP was founded in 1982 by Shana De Caro & Michael Kaplen. The firm quickly earned a reputation in the New York legal community for their legal skills in the areas of personal injury and medical malpractice. Their exemplary legal skills and compassion for those suffering from personal injury formed the groundwork of their personal injury practice. Soon after forming their personal injury law firm, Shana De Caro and Michael Kaplen discovered their special skill in representing persons who have sustained traumatic brain injury. They have earned a distinguished reputation for their knowledge and experience as brain injury lawyers both within New York and nationally. Our mission is to improve the quality of life for persons with brain injury, their spouses and family members. We believe that the best cure for a brain injury is prevention. We are committed to assisting victims of brain injury. We are proud to sponsor and support the programs and activities of the Brain Injury Association of New York State and the Brain Injury Association of America. We take great pride in representing our clients with compassion and zeal to see that justice is done. Our brain injury law firm concentrates it practice on representing persons who have sustained a brain injury, head injury, coma, concussion or other brain trauma. We represent our clients and their family members with compassion and with the understanding that a brain injury lasts a lifetime. Our legal team understands the unique issues and problems which are faced by brain injury victims, their spouses and family members. We are prepared to undertake the legal battles that must be fought to obtain adequate compensation, the health care decisions that must be faced and the important insurance issues surrounding brain injury. 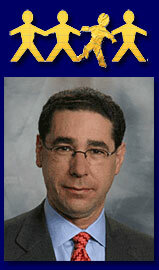 Michael V. Kaplen is the Chairperson of the New York State Traumatic Brain Injury Services Coordinating Council . He served for nine years as president of the Brain Injury Association of New York State. He is nationally recognized for his knowledge and experience in representing victims of brain injury. He has been invited to lecture to attorney conferences, medical conferences and brain injury associations throughout the country on effective legal representation of victims of brain injury and head injury. He was elected by his peers as Chairperson of the Traumatic Brain Injury Litigation Group of the Association of Trial Lawyers of America, and Section Chair of the Motor Vehicle Collision, Highway and Premises Liability Section of the Trial Lawyers of America. He serves on the Board of Directors of Trial Lawyers for Public Justice and as a member of the Board of Directors of the New York State Academy of Trial Lawyers as well as the Advisory Board of the American Association of Plaintiff’s Interstate Trucking Attorneys. He formerly served on the advisory board of the Crime Victims Bar Association. Because of his experience and reputation in all areas of personal injury and negligence law, he was the Co Chair of the New York County Lawyers Association, Tort Section. He is Certified as a Civil Trial Advocate by the National Board of Trial Advocacy and is Certified in the area of medical malpractice by the American Board of Professional Liability Attorneys. He has taught courses in Law and Medicine at St. John’s University School of Law. Because of his knowledge and experience in the field of Brain Injury and effective advocacy in traumatic brain injury cases, Michael Kaplen has been an invited guest speaker at the Brain Injury Association of California, the Brain Injury Association of Florida, the Brain Injury Association of Indiana, the Brain Injury Association of Louisiana, the Brain Injury Association of Michigan, the Brain Injury Association of New York State, the Brain Injury Association of Ohio, the Brain Injury Association of Utah, the Brain Injury Association of Virginia, the Brain Injury Association of Wisconsin, and the North American Brain Injury Society. He has also been an invited guest speaker to lawyer associations in California, Colorado, Florida, Georgia, Louisiana, Massachusetts, Michigan, New Jersey, New York, Ohio, Texas, Utah, Virginia, Washington, D.C. and Wisconsin. Michael Kaplen has received the honor of being named a New York Super Lawyer and Top One Hundred New York State Trial Lawyers by the American Trial Lawyers Association. Shana De Caro has been an advocate for the rights of the Brain Injured for over twenty five years. She serves as an Officer of Traumatic Brain Injury Litigation Group of the American Association for Justice. She was the primary legal assistant to a Justice of the Supreme Court, Kings County, New York and has served as a editorial advisor to the Association of Trial Lawyers of America Work Place Reporter. Shana has also served as a member of the Medical Malpractice Panels in New York State, appointed to review medical malpractice matters by the Supreme Court of the State of New York, First and Second Judicial Departments. Shana serves on the Board of Trustees of the Civil Justice Foundation and has been afforded the honor of being named in Who’s Who of American Women. Because of her legal expertise, Shana serves as editor of the New York State Academy of Trial Lawyers, monthly legal update. Shana is a member of the Brain Injury Association of New York State, American Association for Justice, New York State Academy of Trial Lawyers, New York State Trial Lawyers Association, New York State Bar Association.